The Mission: Impossible franchise is a fun one. Espionage. Bad guys. Good guys. Traitors. Spys. Explosions. Car chases. Amazing stunts. 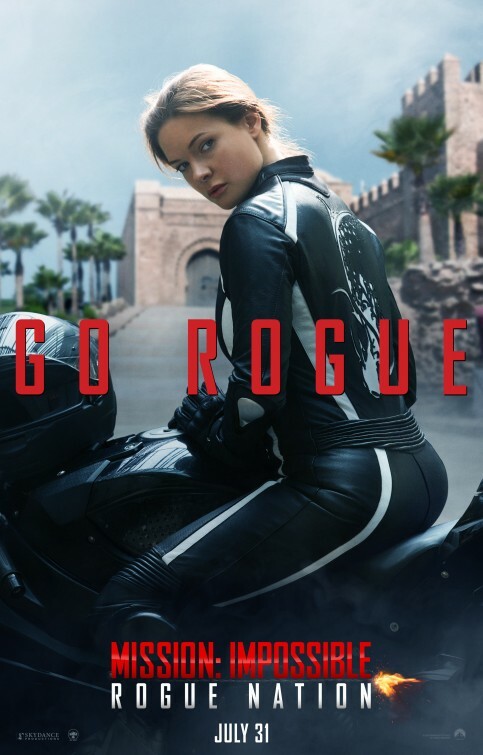 It continues this summer when the 5th film hits theaters in Mission: Impossible - Rogue Nation. This time out the crew is directed by Christopher McQuarrie and they will save the day - if they choose to accept it - on July 31st! Oh and we don't know her role in the film, but we figured you'd rather look at her character poster than Tom Cruise, or maybe you didn't but either way it's the one we chose!